There was a new shop in town. Run by a stranger. Needful Things, the sign said. The oddest name. A name that caused some gossip and speculation among the good folks of Castle Rock, Maine, while they waited for opening day. Eleven-year-old Brian Rusk was the first customer and he got just what he wanted, a very rare 1956 Sandy Koufax baseball card. Signed. Cyndi Rose Martin was next. A Lalique vase. A perfect match for her living room decor. Something for everyone. Something you really had to have. And always at a price you could just about afford. The cash price that is. Because there was another price. There always is when your heart's most secret, true desire is for sale. Needful things has been given to me to read by a friend who LOVED it. It’s always one of every King fans fave when you talk to them. I never got around to reading it. 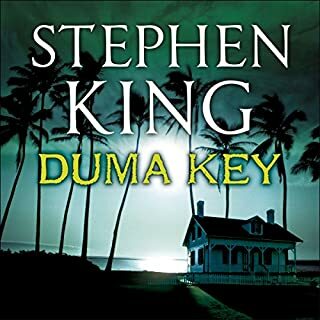 I got so excited when I saw it on audible and it was narrated by the man himself, Stephen King. The story was alright, not my fave King story but ok. However I HATED his narration. I hated the way he read his own book and the worst part was the strange sound effects and the corny 80’s music that was louder than the actual narration at points and usually at the beginning or end of a chapter when you really should be able to hear what’s being read. Such a shame but the production killed this book for me. A classic good vs evil story and how desire can be manipulated towards a desired end. Very enjoyable and read by King. 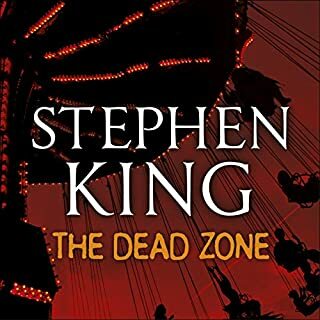 Ties in elements of other novels in the King Universe (Cujo, The Dark Half, and The Dead Zone). Great except the sound effects. I'm not a fan of sound effects and music through audiobooks. It wakes me up after setting the sleep timer and drifting off. Great book though. 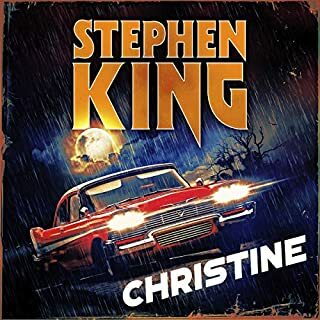 I'm a fan Stephen King's writing. I'd read this as a kid and enjoyed hearing it again now. 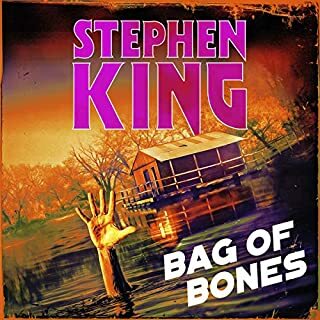 Huge fan of King books and so excited to be rediscovering them on Audible but after amazing narration by Mueller, Patton etc, listening to Stephen King reading is like nails on a chalkboard. Flat nasal delivery, every word with an ‘L’ in it sounds like ‘ngl’ and the music often completely undermines the mood. (The music or whatever it was on Insomnia was awful). But the stories are always absolutely fantastic, I just have to avoid any he narrates. I really liked this book and I really liked the narration but the sound and music was really off-putting. Don't be too put off by this as it isn't there for the bulk of the book, just select parts. When it is there it doesn't even slightly match the tone of the book. Get rid of it and I would add another star for performance. Overall I would recommend this book despite the sound effects. Not one of his best - disapointing. This is not one of King's best works. Concept and idea is good but the presentation is not good. Authors do not necessarily make the best presenters of their work. The random music got really annoying really fast. Steven King. stick to writing. cheesey music no thanx. struggled through this one!! Great story and wonderful narration from the author. The only thing out of place is the music. Totally unnecessary. Still worth a listen though! 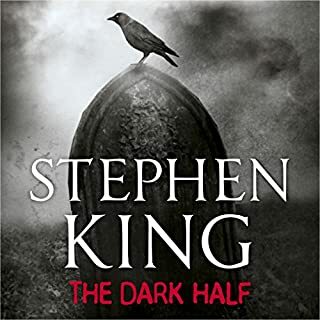 Not bad, at first it took some time for me to get used to Stephen King's raspy voice, I am not always a fan of Authors reading their own work, just because you can write dosn't mean you should read it. However, once through that it was ok. The characters, I always like Kings mix of busy characters coming and going and their individual lives within the story. As usual I am finding all this effort goes into the story and characters yet the ends don't seem to hold or produce the impact I expected. The use of Raul Esparza [Narrator for Under the Dome] may have been a better choice than the Author himself. Could you see Needful Things being made into a movie or a TV series? Who should the stars be? This book was made into a movie in the 80's I believe. All in all an ok book to listen to, just allow yourself to get beyond Mr King's rough voice. 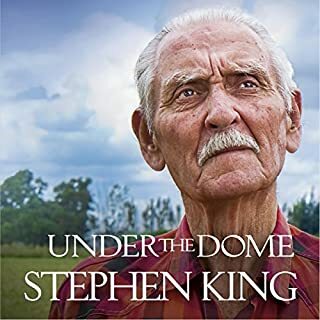 While Mr King might arguably not have the best voice for audiobook narration, there’s something very special (to me any way) hearing the author read his own tale. More so, Mr King’s voice, particularly when narrating Leland Gaunt, took on a slight Vincent Price tone, which I loved. I devoured this book, finding reasons to keep my headphones in for longer each day. Some reviews also lambasted the music, though I found it helped the story - each key character had his own theme - which helped me keep track as to who was being featured, particularly when the story jumped from character to character. After giving this a listen, my next step is to look up the movie version, with Ed Harris. Why did King narrate this himself? How on earth has he been allowed to narrate 3 (that I know of) of his books? He really needs to stick to the writing, at which he's brilliant. As a narrator... Let's just say I don't think he'd make a living if that was his day job. Good story, but perhaps not up to the awesome standard of most of the work he's produced in the last few years, but hard to recommend in terms of this recording because of his boring, toneless and dreary delivery. The best reader I hat the pleasure listening to. I only rate books with stars and don't write a review. This is my first review. It was so good I must say something. I would listen to this over and over. This book keeps you entranced from beginning to end. 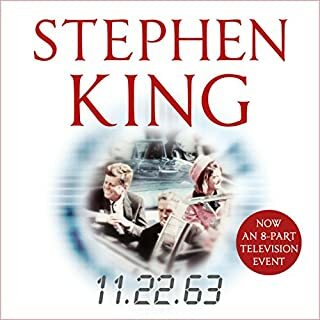 This was the second book of Stephen King's I have read and it will not be last. Stephen: All i need is you! Holly Yes! 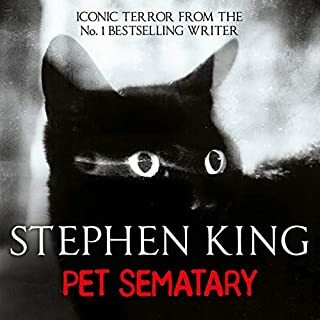 One of my favorite Stephen King books! I loved it from start to the end! 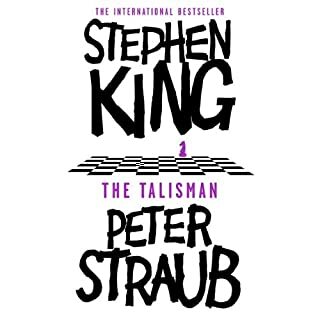 The only minus i would say is that it is a BIT on the long side, and not all Stephen King writhe is that interesting. I would say it is still one of his best books! 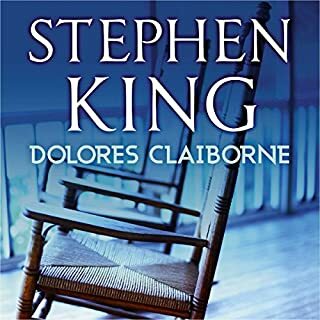 When Stephen king reads his own books it is done with KUDOS! And it is done with love to the source material! His own book! No WAY! It is to long, but i should stop complaining about that! If you like layers in your books, this is the one for you. Murder & mayhem prevail throughout the book, but if you can get past this it's a winner. It's is a story about human weaknesses and needs to provide comfort in lives but goes horribly wrong with each satisfaction of that need. Everybody's response and need will be different and this book portrays us all at our very worst. The tale of Nettie Cobb, with her 'carnival glass lampshade" obtained from Gaunt and her fear and hate for "that Polish woman over the back," Wilma Jerzyck was most memorable for me. It almost took on a cartoonish quality in my mind as their story within the larger story unfolded. Given that the book was some 25 hours long, no, I did not want to listen to it until the end. Also, I must say, the book was pretty heavy going in parts and having a rest occasionally was heavenly relief. Although I enjoyed the book, I partook in smallish slices of a few hours a day here and there and it took about 5 days to fully consume. yes, the music was off-putting and the book would have been better without it. Perhaps the book was a little bit too long. I know I was somewhat relived when I had finished it. I'm not sure why; relief at the end of the shop Needful Things or relief that 25 hours had come to an end? Stephen King is a top class story teller and not a bad reader, too. All in all, a top shelf book. What did you like best about Needful Things? What did you like least? What is WITH the random music ? I'm really not liking it ! No loud unexpected music ! 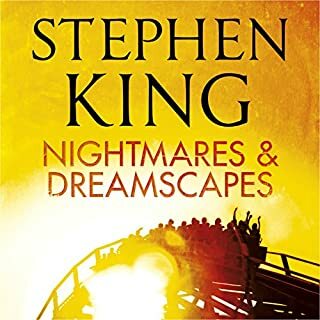 What aspect of Stephen King’s performance would you have changed? Was Needful Things worth the listening time? 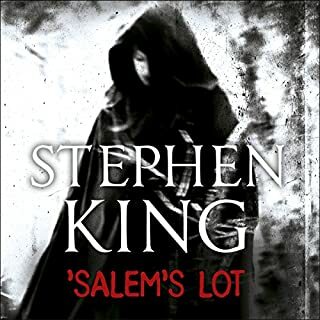 I'm sure the story is worthy of the master wordsmith that is Stephen King but I just can't concentrate on it. 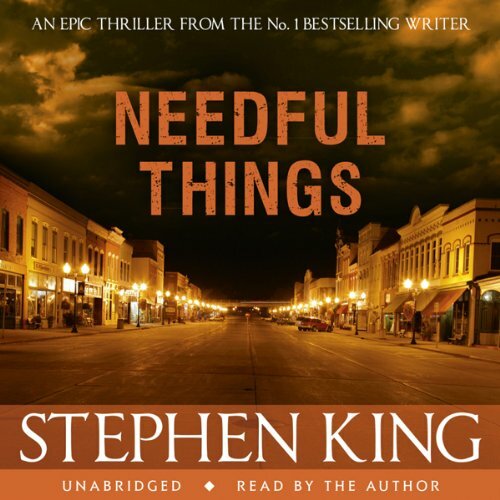 If you could sum up Needful Things in three words, what would they be? 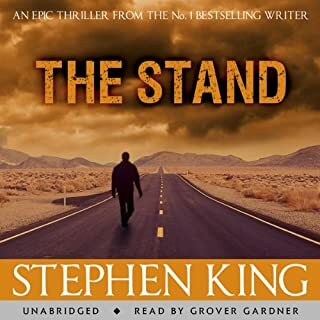 I loved this story for the same reasons I love all of King's stories: the rich detail in the characters, and the suspenseful plot, coupled with the sheer evil and mayhem parcelled out by the main character. I have listened to almost all of them. This one is best because I had the wonderful pleasure of hearing the accent that SK describes so very often in his books. The narrator also seemed to be very accomplished. Only later did I realise that Stephen King himself was reading this story to me. I was deeply moved. It seems silly, but it is true. Thank you so very much, Mr King. Your reading of this fantastic story was a true pleasure. I may like a few of your books more, but listening to you read your own book so well is a connoisseur's delight! I have nearly finished this story, and have to say how good it has been. It's really enjoyable to hear the author reading the characters, as they will use the accents they imagined at the point of writing. But, the music and sound effects interspersed throughout the reading are very off putting and don't really add anything to the atmosphere, but rather puncture it just at a point where I'd found myself lost in the importance of the events. 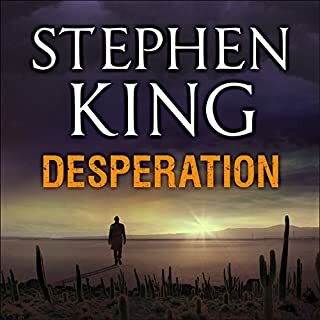 Any fans on Mr King, will enjoy his usual style of writing, he brings each character to life in his own special way, and this book is no different. The story is great and I found myself waiting for the ring of the shop bell to see who was going in to buy something " needful". I found that the reading by the author added to the book and he little bits of music and the jingling of the door bell also added to the whole experience. So why only 4 stars...the ending. I do find a lot of stephen King books have a bit of a let down with the ending. It was not a bad ending, it was such a good and gripping tale that I was expecting something a little more. Having said that, dont let it put you off the book, it is a superb read. Perfect! Stephen King knows his characters and their inner voices better than anyone else could! You get the full 3D version here!! Reminiscent of Salem's Lot in that an old guy opens a shop in a quaint town and is not all he seems. The residents find themselves buying items they feel they 'need' and go to extremes to keep them. 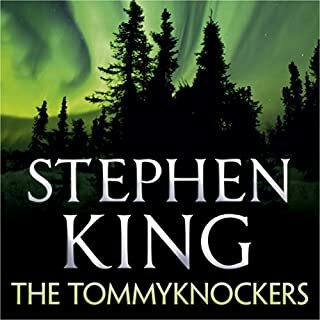 This was my second Stephen King novel and I am now a fan of his. 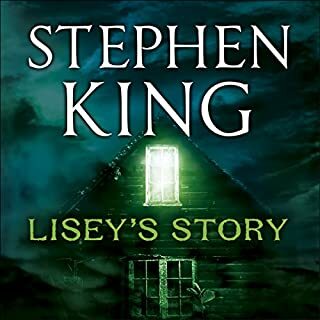 This story is creepy and kept you wondering what each character was up to but to me the best thing about the novel was the way commercialism is portrayed. What would you do for the object you have always wanted? If you are a character in this novel the answer is a lot. I'd highly recommend this novel if only to question if anything you own is "needful". Rereading in a fashion, as this is the first time I've listened to the audio version. An added bonus was that it is read by the author, and that gives it a special feeling. There's nothing not to enjoy about this book. As it is read by the author you know the story is being told as intended to be. 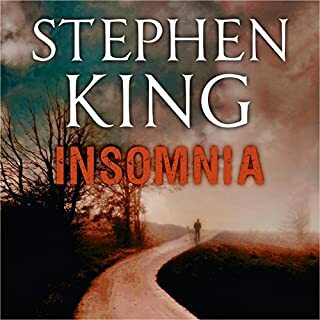 I think this book should have been read by an actor as Stephen Kings voice is enough to send you to sleep. A real shame as I love his books. Needful Things is such a clever idea for a book, the line between order and anarchy and empathy and revenge has always been micro fine in society, nudge something slightly and watch the repercussions. This novel shows how socities and relationships can fall apart at a micro level when a malovelent force is pulling the strings. The building of tension in Needful things is brilliantly accomplished - another of Kings great skills. The townspeople and their foibles,weaknesses and desires can be applied to any country, race or religion and so the characters are believable. 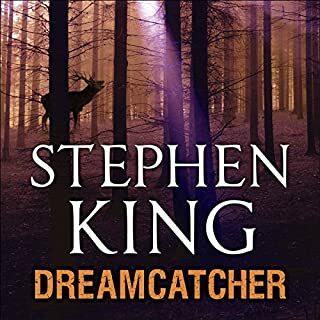 I loved reading this novel and this audiobook is very enjoyble. The only aspects letting it down are the music, which is just dreadful - a school child could have done better and it wouldnt up the production costs dramatically - and the narration. Stephen King reading the novel doesnt really work, I never think an authour reading their own books works. A gifted actor could have made this a perfect listen. If you fancy something unsettling then this novel is great. It is not remotely scary however. It's just a study on the worst aspects of the human psychology. i'm a long time fan of Kings books, and i would have to say this was another really good example of a page turner, admittedly this is indefinably not his best book, but the chaos created in it was incredibly funny, at times the novelty wore of a bit, but the other characters reaction made it worth it, sometimes parts of the book just seemed to be almost glossed over by other events in the book, in one case a character breaks there neck and not much more than 2 sentences are given about it after, this does in my opinion actually add to the sense of chaos however i can imagine for some people it would be almost annoying. i haven't given to much away i think.